-Heat oil and add chicken strips in to it. Fry until they start changing their color. After 5 minutes of stir frying, add oriental sauce and mix well. -After 5 minutes cooking on high flame, add vegetables and keep stirring until the onions get a nice grilled texture. 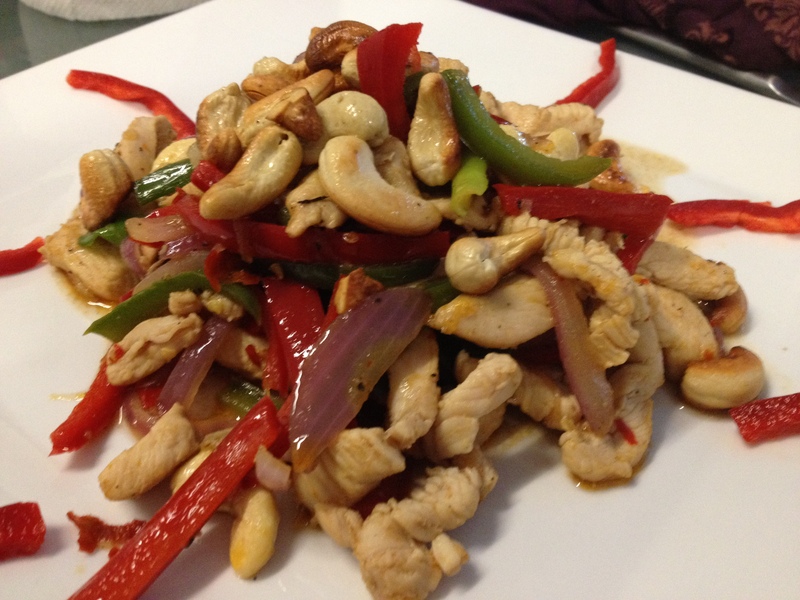 -Discard the water from spring onion stems and add them to the dish along with half of the cashew nuts. -Give it a last stir and dish out. Garnish it with the rest of the cashew nuts. -Serve hot with boiled rice.